Team: Natalia Sanchez, Liliana Bounegru, Maya Livio, Federica Bardelli, Tommaso Renzini, Allison Guy, Bernhard Rieder, Emile den Tex. This project explores cli-fifiction about climate changein order to understand and categorize fictional scenarios about the future, and the role of human actors in those scenarios. This project uses digital methods to gather data from Amazon and Google Books, in conjuction with manual classification, in order to understand the current zeitgeist of climate change in fiction. We chose to investigate these two claims: What kind of scenarios does climate fiction depict? What kind of personal, aesthetic, and emotional experiences does cli-fi it putting forward, and what 'myths' does it is refashion? "In 2008, I started using the CliFi term informally on my blog about possible CliFi movies, calling "The Day AFter Tomorrow" a good example of a CliFi movie and of course, to come up with the term, I really did not coin a new term I merely borrowed the sci fi term and rhyming sounds to create the CliFi term. So I do not call myself the coiner of the Clifi term. I am just working now in my mid-60s as a popularizer of the term. But I did not coin it" (Gall 2013). Capture and describe the scenarios depicted in cli-fi books. Create a list of cli-fi books using Amazon suggestions as well as other lists. Manually collect the plot summary for each book using the blurbs included in Amazon and Wikipedia entries. Read both blurbs and Wikipedia entries and answer the question: What brought us here (type of disaster)? Capture keywords and place them in a spreadsheet. Each book's cover is being vizualized in terms of their scenario and associated issues. The outcome will be an 'atlas' of cli-fi places in terms of their scenarios. A second stage involves a 'collective' analysis of the cli-fi book blurbs. An experiment will be run in RapidMinder text analyzer. What do the scenarios in these books look like? A comprehensive look at the book's scenarios is here. What are the issues in these books? Scarcity of food, fuel and shelter. Lack of clean water, horrible sanitary conditions. Virus affecting crops and detrimental effects of pesticides on the environment. Virulent genetic pandemic and bio-engineered plagues. Evolution of animals, giant iguanas, albino alligators, and endless swarms of malarial insects. Eco-terrorists, Middle East war, global war, conflict over resources, social unrest, resource wars. Refugees and survivors adjusting to life as post-modern savages. Rising sea levels have been grossly underestimated. Displacement, migration, survival in a post apocalyptic landscape. Earth population shrinks to less than half a million due to sterility. First, we manually captured the blurbs of the top selling 28 climate fiction books using Amazon. In parallel, a new tool was developed to extract blurbs and publication dates of books in Amazon, which enables the automation of this data collection step in future projects. Next, the blurbs corresponding to each book were saved as separate .txt documents and uploaded to the Sciences Po tool ANTA (Actor-Network Analyzer). ANTA is a text analysis tool that extracts expressions contained in a set of medium-sized texts and draws a network of the occurrence of such expressions in the texts. Through the Alchemy API, an online service that provides n-grams extraction, ANTA extracted the relevant entities or expressions from these documents and automatically categorised a selection of them. The rest were manually classified into categories such as: persons, animals, places, etc. Once the categorization was completed, a .gefx file was exported from ANTA and imported into Gephi, a network graphing tool. The result is the visualisation below, which shows the network of books and the relations between them based on the extracted entities. One of the things that the network graph shows are the most common expressions used in the corpus of books, therefore making visible some of the common themes in our set of cli-fi books. The themes that are most shared among our set of books, are, predictably, climate change and global warming. 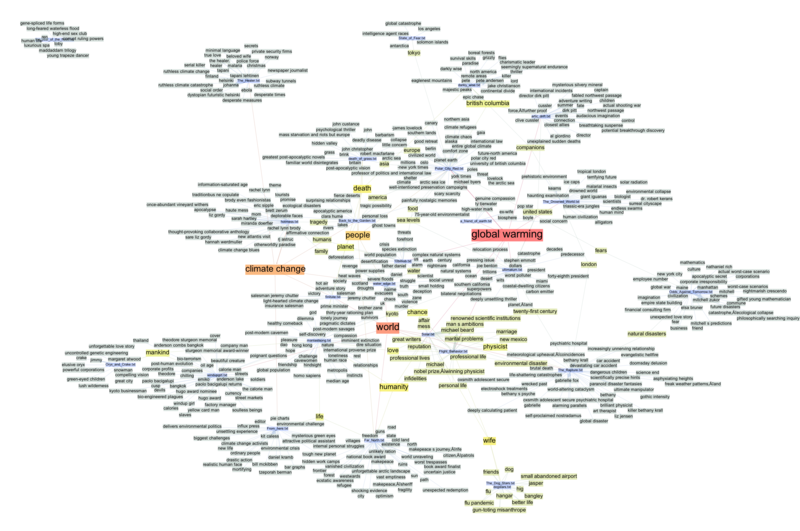 While some critics assert that climate change has become more of a backdrop than a central actor in cli-fi, our network graph reveals that, at least in blurbs, climate change remains a central issue. The prominence of the theme however might be a reflection of the norms of the marketing genre than the actual treatment of climate change in the books. 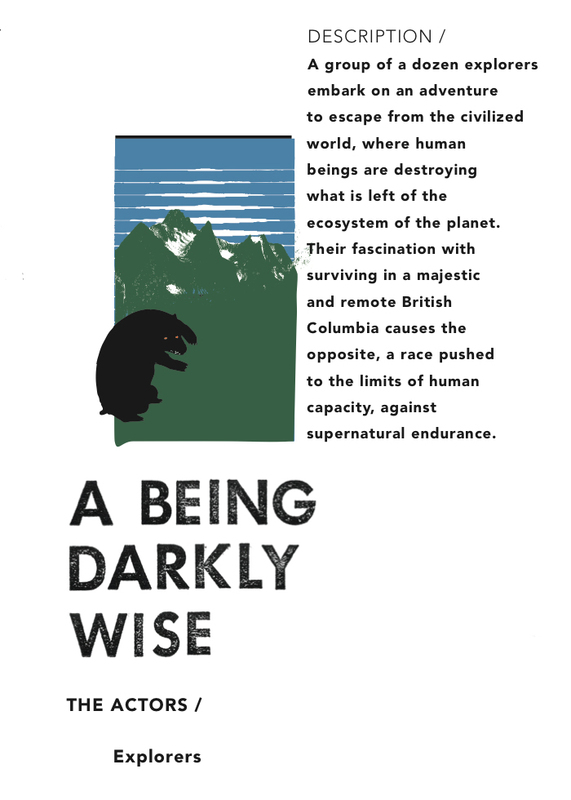 Words that indicate the global scale of the climate disasters that the books deal with, such as mankind and humanity, occur frequently in the blurbs also. In terms of specific climate change-related issues, food, disaster and sea levels appear more than once. Issues such as heat or temperature do not appear in our graph, perhaps revealing that authors may choose to focus more on highly visible or dramatic disasters, such as flood and food shortages. Words that refer to human relationships are amongst most common in our graph: wife, companions, family, and people. This fact likely reflects the authors desire to put a human face on climate change, and is perhaps a reflection of the fact that environmental disaster has now become an everyday reality. The occurence of the words fears and death confirm the hypothesis that many of these books deal with apocalyptic, dystopian or otherwise dark scenarios. We queried Google books and Amazon previews for the terms [memory], [remember], [nostalgia], [remembering] in each of the cli-fi books. Specific passages were captured with the objective of gaining insights on how these climate catastrophes and the world before them are remembered. The passages were put in a keyword cloud generator to determine which places and events belong to the fictional imaginaries. When flowers, plants and trees were abundant. Cities that are now gone and that were once beautiful (Paris, New York, Berlin). These cities are referred to as sinking civilizations. The structures that are no longer visible: the doorsteps of houses and porches. Animals that are now extinct, such as elephants, buffalo and rhinos. Nature documentaries and travel journals will help people remember. The time when fuel was easily available will be talked about as an golden age. Only old people will remember how the world was before the climate changed. On occasion younger people will have trouble not feeling indifferent towards the current state of the world, as they never knew it before. Common words to talk about the past include: vanished, abandoned, erased, drowned, despair, panic, dissolved, spectacle, absence. Using the information captured about each book's scenarios, perfom a manual classification of the books acording to their themes (e.g. apocalyptic vs dystopian). This manual classification could potentially be implemented into an analytical model and applied to other texts. For example, do cli-fi themes and vocabularies resonate in other types of media? Does the news increaseingly sounding like fiction? When clustering the blurbs of climate fiction books global warming and climate change were central and seemed to be drivers of the narrative. This puts into question the statement about the normalization of climate change and it being backgrounded on the narratives. The books appear to share not the details of how these future scenarios look like, but were closer in terms of the personal narratives they introduced. A further step would be to identify and classify in terms of the archetypes of this narratives using a framework (journey back home, searching for the lost land). 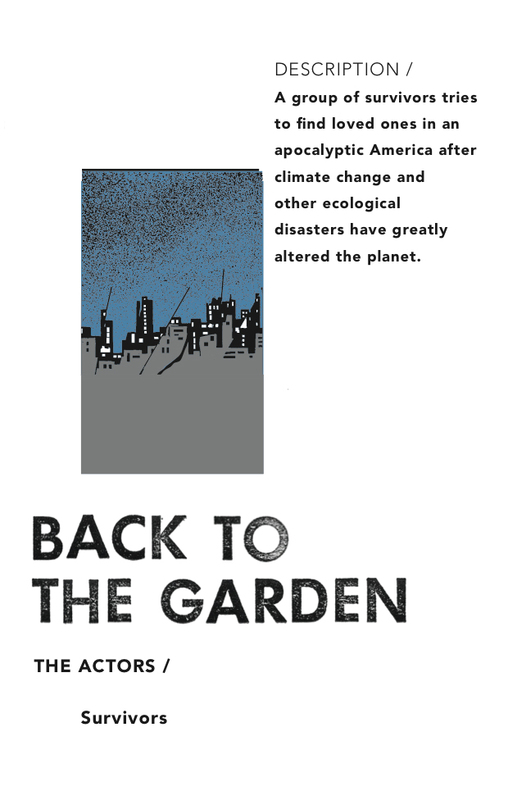 In terms of the scenarios depicted they were common themes: global warming, destroyed cities and flood. When exploring what characters in the book ten to remember included: cities, easier times when fuel was available and the everyday geography that is in their present times gone. How do these novels aestheticize post climate-change landscapes? Does "ugly" nature become beautiful?